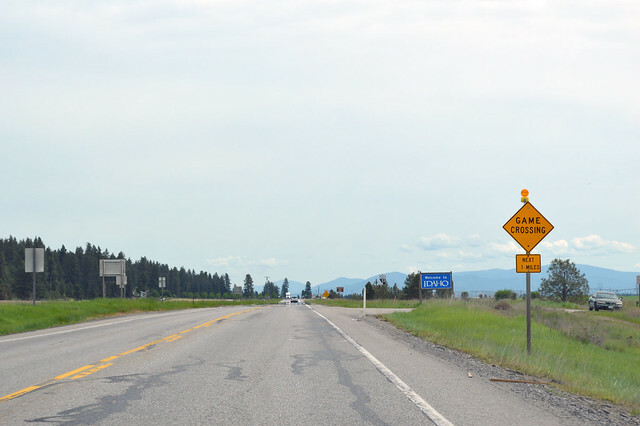 On Sunday, May 25, 2014, we drove Washington State Route 290, all the way from Spokane to Idaho! Highway 290 begins at an interchange with I-90, with big sweeping bridges soaring high above the valley. Back in the 1970s, when this interchange was built, it was meant to be the southern end of a north-south freeway through Spokane. Back then, SR 290 started at a city intersection with US 2 & 395. In 2005, however, that original beginning was given to the city and the fancy spur was made the new beginning. 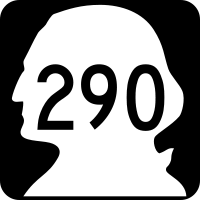 The 290 number was meant to mean it's a branch of US 395 (because 395 = 29, of course), but now it doesn't touch US 395 at all ... until the new north-south freeway is completed a couple miles east, some time in the future. 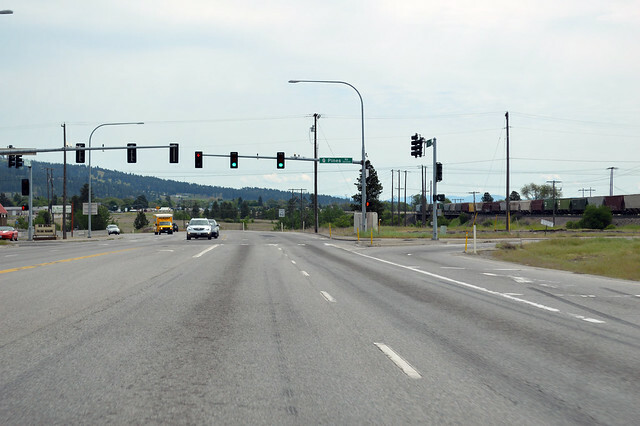 Highway 290 crosses the Spokane River on a broad expanse of pavement, then hits a stop light where you have to take a right to stay on the highway, getting back on the original route. We immediately cross the river again, on a lower, older bridge. Into the industrial part of town. Giant concrete buildings by the railroad tracks. Construction equipment, metal fabricators, etc. 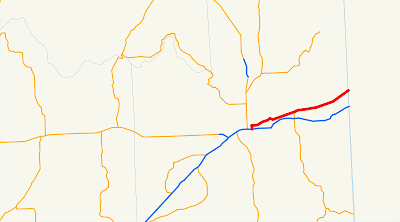 At the merge with Mission Avenue, SR 290 is the lesser branch. Curvy road along the railroad tracks. Out past Millwood in the wide-open valley, we find the junction with SR 27. 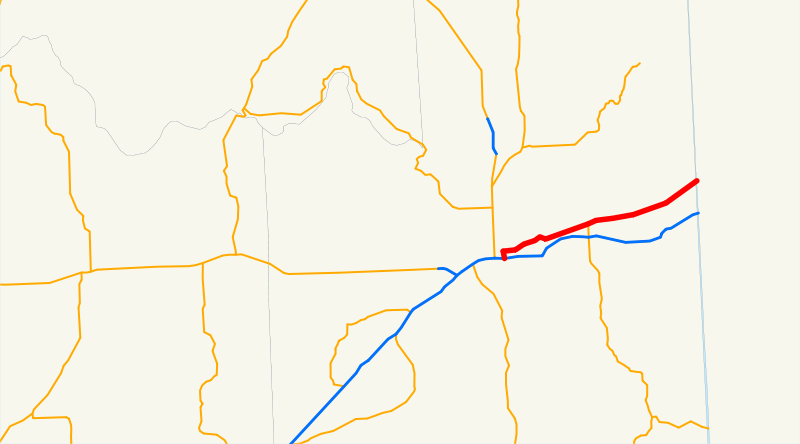 After crossing the Spokane River a third time, Highway 290 gets going straight, more or less, still parallel to the railroad. We leave the city behind, out into the pine trees and farms. Six or seven miles before the state line, there are already "to ID-53" signs. 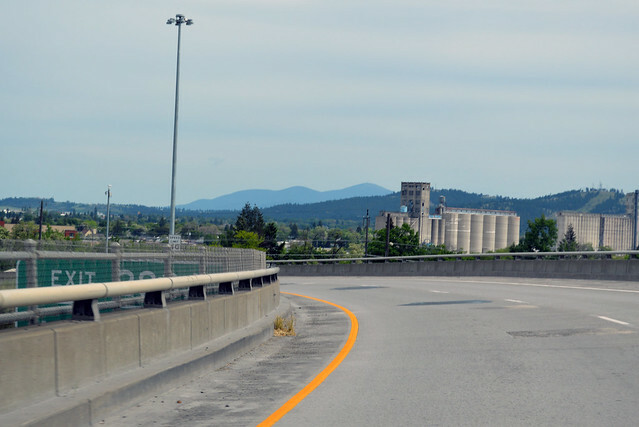 At Otis Orchards, Highway 290 feels unloved and lonely, as apparently most traffic doesn't want to go onward, but exit, so much so that it's an exit to stay straight on the highway. After a few miles of "Are we in Idaho yet? ", we see the big blue sign. Welcome to Idaho! For most of Highway 290's length, it feels like an afterthought. Even when it's in a straight line, that's not the path that people want to take. It felt odd to stay on the route, as if I wasn't really supposed to.